I observed the close of the twentieth century while working freelance in Los Angeles, writing children’s television until animation auteurs like Genndy Tartakovsky, Craig McCracken, and Jhonen Vasquez, who wrote and produced their own original series, deservedly took over network air. By the end of the nineties, a midlife crisis of faith in the industry and my place in it sent me from Hollywood back home to Gowanus, Brooklyn, to write fiction. I had resolved to complete Bite Marks1, an ambitious horror novel I’d begun in the mid-1980s, about the unintended creation of a vampire infant and the subsequent consequences. As I contemplated what I was about to do and how the hell I’d do it, I realized that I had never read two of the foremost works in my chosen field of authorship—Frankenstein, or, the Modern Prometheus, and Dracula. I made their reading my first priority once I was settled in. I had returned two weeks after 9/11 to the still active inferno of the World Trade Center, its Twin Towers once well within view of my Brooklyn neighborhood from Third Avenue. I was grateful I hadn’t been there that day to have the indelible image of them tumbling to the ground, one after the other, seared into traumatized memory. To see the smoldering ruins when they allowed visitors back below 14th Street was bad enough. From Broadway, looking past Trinity Church, I could see stories-tall flames that would rage on for months, broken and blackened steel girders reaching up from the burning ruins through roiling smoke, like the twisted fingers of a dead giant making one last grab for salvation as it sank beneath the surface. The sight was a hellish horror I was reminded of each time I swept up the half inch of concrete ash and office detritus that accumulated each day for weeks on my front sidewalk, random remains of lost lives, scorched scattered words on shredded scraps of paper that had meant something to someone now gone. In a world suddenly made so monstrous as to beggar the imagination, the prospect of writing horror fiction was daunting to say the least. I found refuge in reading to prepare me for the work ahead, beginning with the two classics I had reserved to read first. Dracula proved a pleasant surprise, oddly contemporary, written in an epistolary style I’d not encountered in my admittedly random literary upbringing, and the story was what I expected it to be. In contrast, Frankenstein, published nearly eighty years earlier, opened with what I felt was a long-winded letter from Robert Walton to his sister, written in a mannered style of the day evidently used even in personal correspondence. It then moved on to a slow-moving saga ranging over months, years, and one far more internal than the oft-repeated action-filled epic told in movies. It began, “You will rejoice to hear that no disaster has accompanied the commencement of an enterprise which you have regarded with such evil forebodings,” and in the immediate aftermath of reading Dracula and the recent events of 9/11, still in progress, such language felt verbose, stilted, and worst of all, dated. With the recent terrorist bombing I felt that the twenty-first century was securely in place, our fresh start in a new millennium already ruined, and I needed new imagined horrors to help me process the real ones on the news each day. In re-reading the novel without that undue influence, I see now that the formal language of the opening was used to great effect to lure the reader of Mary Shelley’s day in with the familiar and safe before she pulled the rug out. The gentle, civilized refinement of the opening passages stands in marked contrast to the raw brutality of the monstrous events, and thus makes the slow progress of Frankenstein’s inexorable fall even more harrowing. As the 200th anniversary of the book arrived in January, Netflix debuted The Frankenstein Chronicles, an original series inspired by the novel. In the last few years alone, the monster, his maker, and often both, have been seen in the release of a host of films from Van Helsing to Victor Frankenstein, TV series from Penny Dreadful to Supernatural, novels from Frankenstein in Bagdad (reviewed here in the last issue) to assorted comic books and graphic novels like I, Frankenstein, which made it to the silver screen as well. In light of the bicentennial birthday he’s enjoying, I felt the monster and his story were worth revisiting, and a new illustrated edition and graphic novel have made it doubly worthwhile. The name alone conjures a nightmarish legacy of composite corpses raised back to life, more than a century before the zombie plague that’s currently invaded all media. For me, Frankenstein’s monster is the true progenitor of Romero’s; both birthed in mystery by an unexplained chemical process that revives the dead solely to wreak havoc on humanity. Today’s zombies are degraded descendants of Frankenstein’s eloquent atrocity, devoid of reason or speech, filled not with a hunger for justifiable vengeance, but for flesh or brains. Romero’s undead series became a metaphoric howl against mindless mass-market consumerism. Ironically, the commercial zombie craze has grown beyond expectation in a world where—before their infusions of Starbucks caffeine—it’s hard to tell the people on new release lines outside Apple stores from the lumbering zombie hordes of The Walking Dead. Frankenstein is considered by many to be the world’s first science fiction novel, but the rising dread that begins with Frankenstein’s flight from his living monster also places it firmly at the dawn of contemporary horror fiction. What I had first seen as a long-winded prelude to the juicy bits, I now recognize as Shelley establishing a grounded traditional social and psychological baseline for her fictional world before she presents Frankenstein’s account. While it’s more than familiar to us, it was shocking in many ways when it was first published. Her leisurely introduction is the diving bell that carries us safely down to unplumbed depths. Her narrator is certainly exceptional, an explorer, educated and affluent enough to indulge in worldwide research, but still familiar enough in his drives for knowledge and friendship to be engaging, more so than the traumatized Victor Frankenstein we are about to meet. As Walton bemoans his lack of an amiable companion with whom to share his intellectual pursuits, he sails north to the Antarctic, eagerly anticipating whatever adventures lie ahead. “What may not be expected in a country of eternal light?” he writes, “I shall satiate my ardent curiosity with the sight of a part of the world never before visited, and may tread a land never before imprinted by the foot of man.” If nothing else, he hopes to discover a new passage to reach distant countries near the pole, or to explore the secrets of magnetism. He is possessed of an inquisitive scientific nature which instantly establishes him as a fellow to Frankenstein. Walton’s passionate prose expresses a heterosexual male romanticism that I fear was lost in the twentieth century, with the increasing recognition of homosexuality as a natural inclination as valid as any. Suddenly, any open expression of male to male love in western society could be seen as potential evidence of some deeper desire or disposition, and so was suppressed, only slightly less so in cultures where casual displays of affection between men are more accepted. Not so in Shelley’s time. After bemoaning his lonely solitude, Walton observes a massive figure on a dog-drawn sledge in flight across the frozen wasteland, later revealed to be the monster, followed by Frankenstein in close pursuit, stranded on a dwindling ice floe. Walton relates the mysterious stranger’s rescue to his sister, and in later letters, a growing affinity and affection for Victor as he nurses him back to health. Once Frankenstein is well enough to recount how he came to be found in these strange circumstances, the story we all know finally begins. His curious narrative forms the rest of volume one of three, a truly tragic tale which he alone has survived to tell, much like the narrator of Coleridge’s Rime of the Ancient Mariner, echoed throughout. It’s rumored that the young Mary heard the poem recited in her home by the poet himself, and it’s no surprise it left a strong impression on her at that tender age, with a tone of melancholy regret that haunts this novel. Frankenstein is possibly our first truly modern myth, made explicitly so by Shelley’s titular comparison to Prometheus. Instead of fire, Frankenstein offers the spark of life in a monster made by science, an inevitable affront to God. By the time the creature made his way to film in the age of electricity, he was given metal bolts and a lightning-generated birth . . . no doubt he will soon be nuclear. The monster and his myth have remained fresh and survived this long by adapting to every age that embraces it. The original revenant was a warning as the twentieth century approached that our burgeoning sciences could advance faster than our moral capacity to control them, a valid fear even now. As concerns about the dangers of artificial intelligence grow with the inevitability of its invention, it’s easy to forget that Frankenstein created not only a body from dead parts, but also a unique and individual mind capable of learning and reason, emotion and eloquence, with the ability to develop and justify a murderous will to kill. Frankenstein’s creation is arguably fiction’s first artificial intelligence, and as he proved patricidal, like so many in film and fiction since, one must ask: Why do our characters keep building them? Like the old joke says, they need the eggs—whatever benefits come with creating artificial life, whether proof of power over life and death, or possible profits in mass-producing a synthetic slave class. So, of course we fear artificial intelligence. We’ve run the simulation too many times, with only one Bicentennial Man. Shelley skims over the mechanics of Frankenstein’s marvel, has him obstinately refuse, once as he begins his history and again at the end, to reveal even the nature of the secret that led him to his own damned fate, lest it take his confidante down the same path. It’s a clever literary conceit. Once Victor proclaims that, the author’s released from telling us anything, to her benefit. Shelley is spared having to detail where parts were procured, or how the creature was assembled and revived. After all, the real story is in Frankenstein’s internal struggle over the consequences of his misdeeds, and about how his creation’s craving for even simple acceptance provokes violence when denied. The process of giving life to the dead is simply a plot device to motivate them. However, we do know that Frankenstein’s process of reanimation arises from his studies in chemistry and the occult, not galvanic electricity. Despite the infinite memorable images on screen of the monster awakened with bolts of lightning, it’s actually eased into life. 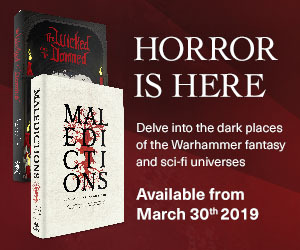 The storms and earth shattering demonstrations of nearly biblical fury in the book are reserved for the moments when Frankenstein is at his most fearful, or used to punctuate his losses, as if the forces of nature will doom him for his unnatural acts, should his creation fail. This seemed to have inspired award-winning American illustrator David Plunkert’s atmospheric visuals in this new edition of the book, moody and elegiac, not mere inserts, but a formidable framing of the text that conveys the story as fully as the words his art accompanies. It acts not as competition, an alternate way into the novel, so much as an integral and complementary accompaniment, as essential to this edition as the second instrument in a musical duet. Story and art flow in unison, each smoothly giving way to the other in a way that enhances the last, anticipates, and then leads us to the next dread-filled moment. From the embossed cover portrait of the monster to the thick lustrous pages and carefully nuanced drawings, colors, and textures, it is a fitting tribute to an essential literary work. 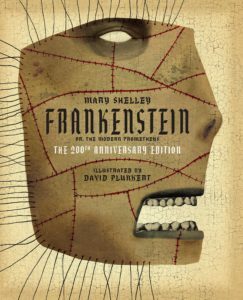 The hardcover feels durable as Frankenstein’s creation, and the art is as appropriate and enjoyable as Plunkert’s edition of Edgar Allan Poe Stories and Poems released last year, both part of the Classics Reimagined series of illustrated reprints. With Frankenstein, or, the Modern Prometheus, Mary Shelley defined our fears, held since the beginning of the modern age, of all the sciences. From the invention and subsequent recall of asbestos to the splitting of the atom then Hiroshima and Nagasaki, we’ve been worried that our best intentions and innovations, driven by our own stupid greed, pride, or arrogance, will destroy us in the end. In Victor LaValle’s award-winning novella, The Ballad of Black Tom, he successfully revisited H.P. 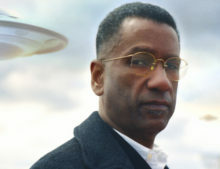 Lovecraft’s The Horror at Red Hook from the point of view of a black Harlem youth. In Destroyer, he masterfully takes on another horror classic from a very different perspective of color, reuniting us with Frankenstein’s monster in present day while he presents a new doctor and diabolical organization bent on advancing his maker’s legacy of power over life and death. 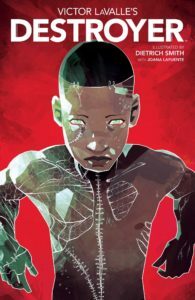 While it’s easy to see an inherent analogy in the relationship of Frankenstein and his creation with that of slavers and slaves in African-American history, Victor LaValle finds a fresher, more contemporary way into the story. His maker is a black scientist motivated by grief over the police shooting of her innocent teenage son, a familiar event, repeated far too often today. We meet Frankenstein’s original monster as he leaves his icy exile to attack a whaling ship, slaughter its murderous crew, then join protestors who were following the ship before it was capsized. He’s updated about the modern age by a sympathetic crew member with a digital tablet, but sees a story about a scientist creating life in a lab in Montana and speaks the only word he utters in the entire graphic novel . . .
His quest for vengeance is back on. Frankenstein often refers to the creature as his destroyer in the third volume of the novel, and it makes a fitting epithet for his monster’s role here. As he goes on a killing spree on his way to finally finish off his maker’s work, he’s brought to the attention of The Lab, a covert government operation led by The Director. She’s the cold and calculating woman who fired Dr. Josephine Baker—their very own Frankenstein, working from his notes—for disloyalty, because she became pregnant with Akai, the son she loses twelve years later. Given the layered noir universe LaValle populates with characters who have smashed their moral compasses at the door, it would not be hard to believe The Director was responsible for ordering Akai’s unmotivated shooting; her revenge, like the monster’s, served years cold. Destroyer raises the one major question left unasked and unanswered in the original—why didn’t Victor use his power over death to revive any of his lost loved ones? Rather than arrogance or madness, Dr. Baker views Frankenstein’s defiant act of creation as motivated by the death of his mother, as hers is for her son, forging a desire to master the force that took them both away. If that were true, you’d think he would have immediately brought his dead brother back to deny the monster his revenge, but that could only have led to another, even more terrible story, as LaValle aptly demonstrates here. He plays with the few names given—George Byron and Percy Shelley, the coworkers sent to retrieve Baker, are named for two other houseguests on the stormy weekend with Mary that birthed the original book. Akai’s father, nicknamed Pliers, applies pressure several times in a variety of ways. I’m still working on why the good doctor is named after Josephine Baker, unless it’s for the rebellious spirit of her work in the French Resistance and Civil Rights Movement. Other than that, LaValle plays it straight to the point of Grand Guignol, planting the seeds for a continuing series that shows that Mary Shelley’s brain child is still alive and well, growing again into a new age. Not nuclear, but with nanobots. The graphic team led by illustrator Dietrich Smith and colorist Joana Lafuente give us a monster that is both skeletal and sinewy, larger than life, and more than capable of exerting superhuman physical force. Their Akai Edward Baker, the latest in a long line of the monster’s descendants, is a more graceful creation, both formidable and forlorn, caught in the middle of his parents’ fight, and a larger battle for his own safety in the world. Part of what I enjoyed most about LaValle’s new take is how well it weaves in the most essential elements of the original. Even as it reboots the original concept, it is a thorough homage. There is a touch of sampler culture in his deft inserts, and like a good mix, it’s seamless. That a 200-year-old work written by an exceptional eighteen-year-old woman in the age of gaslight can still excite our imaginations enough to generate new works like this is as much a miracle as Frankenstein bringing life to the monster. 1. Spoiler… I did finish and publish it, that and a second book, Blood Pressure, the first two volumes of a trilogy I am currently working to complete.